What is Third Coast Style? Third Coast Style was a boutique in Milwaukee's downtown Fashion District. It's where 34 designers showcased clothing and accessories designed and made in Milwaukee. The store doubled as an art gallery, displaying three-month art shows throughout the year. Third Coast Style also housed a hair salon, featuring renowned stylist Jeremy Scheifflee. Now, TCS remains an online entity advocating for Milwaukee's designers. Look for Third Coast sponsored events in Fall 2014 and Spring 2015. A fashion movement led by youthful Milwaukee which epitomizes this Midwestern Movement. This style has two seasons, warm and cold. This style is not imposed upon us by designers from the East Coast nor is it the weekly fads of the West Coast. This style is a collective reflection of our life and activities in Milwaukee. IT IS CREATED IN MILWAUKEE FOR MILWAUKEE! Anyone who lives and loves living near Lake Michigan. Someone who loves their life in Milwaukee. A PERSON WHO WORKS HARD AND PLAYS HARD! Click to read: The Shepherd Express asks "What is Third Coast Style?" 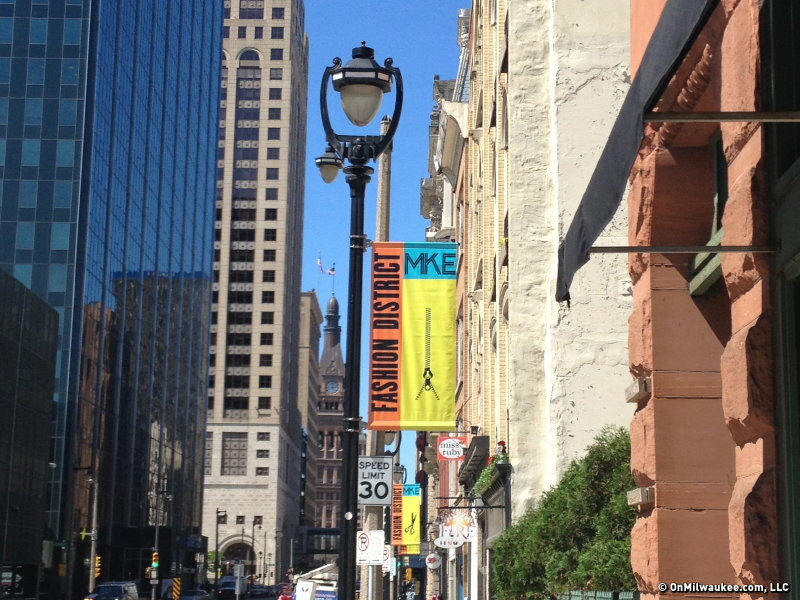 What is Milwaukee's Fashion District? Established by Patrice Procopio in 2013, the Fashion District is Milwaukee's Best Self-Appointed Neighborhood. Third Coast Style is just one of the boutiques in this new district just north of the Third Ward along Water St.